Cooling Tower Services in Michigan: Installation & Repair | RBE Inc.
With RBE, you’re not just buying a cooling system, you’re investing in the future of your operations. That’s why our cooling systems are designed by our in-house team of engineers and built using trusted brands like Marley, Recold, and Puroflux. That is how we can be confident that the system we build is safer for the environment, and will runs efficiently in extreme weather conditions. If service or repair is needed, we can provide it quickly, with as little downtime as possible. 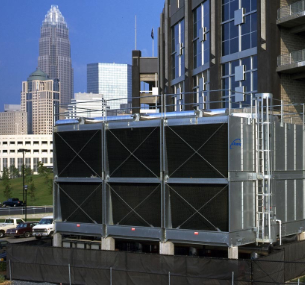 For decades, RBE has been a leader in high-quality equipment and service for the power generation, industrial, refrigeration, and HVAC markets. Let us help you meet your cooling system needs. Call us, send us a message, or request a FREE ASSESSMENT now.